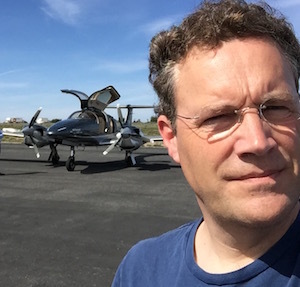 Is anybody as puzzled as I am about the time limitations of the fuel injectors in our Austro Engines? So far so good: My engines have now around 1650h. Fuel injector replacement makes no sense. So my plan would be to install OVH engines at around 1750h. The shop I contacted informed me on a delivery time for OVH Austro Engines of 30-35 weeks ( ). This would mean, I have to order next month, which I plan to do. Looking into the temporary revision of the engine Maintenance Manual (MM-TR-MDC-E4-454) issued on 03-Oct-2018 a component time limit for the injectors of the Austro E4series engines of 900 hours is stated only. What is right now? 900h or 1400h+100h/01-Oct-2019? 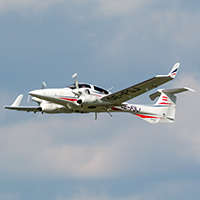 EASA has issued a “Notification of a Proposal to issue an Airworthiness Directive” under the No. 19-009 on 21 January 2019. It indicates (or do I understand something wrong here) that MSB and MM-TR might become an AD after the end of consultation on 18 February 2019. But again what is the right limit for the injectors? Or am I totally wrong here? Can somebody shed light into the darkness? Does anyone know if the replacement injectors mitigate the concern permanently or whether they need to be replaced every 900 hours? I’m really annoyed about this. Austroengine charges € 1.200,- net per injector. Already in 2017 they announced to have 1.500 engines in operation. This means that by issuing MSB-E4-025 they make an immediate turnover of € 7.200.000,-. The profit is huge for sure. The manufacturing cost of the entire engine is less than what they charge for 4 injectors. In their case I would issue a few more of such SB’s. Millions of these fuel injectors have been produced and now, several years after the end of production of the car engine, the injectors aren’t safe anymore. If Diamond would be loyal to it’s customers they would sell the injectors at purchase price maximum or offer another solution to reduce cost. But instead they will have a big party celebrating their cash cow. If ... but they are not. 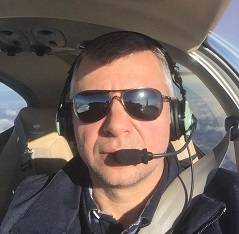 I believe all customers affected by this problem should organize themselves and present the case to FAA and EASA (and AOPA and anyone who’s willing to support the case). It’s a safety issue not known at time of purchase, so minimum that Diamond should do is to provide the fix without charging huge margin if not ensuring spare parts at discounted price. When Lycoming had problem with bad crankshaft (SB569A) they offered owners to purchase replacement kit at $4.000 instead of regular price of $15.000. Owners of these planes (and engines) definitely need to organize better and act as a collective bargaining force. The fuel injector issue has me reconsidering my interest in a DA62, for instance. And we're coming back to the question of how many potential Diamond buyers walked away just because they were aware of such customer "support". I still haven't seen any attitude change (besides friendly announcements) and I yet have to see the change in policy. If nothing changes in following year or two I might reconsider my interest in Diamond in general. Same with me, I am totally annoyed about this. Moreover my engines are close to TBO. It took me some time to find out what to do. MSB, MM, AD and several emails to Austro did not bring clarity. It looks like the want to generate cash on our backs. 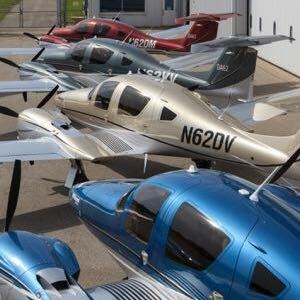 I am out to buy a new plane next year, but these things and the way customers are treated by Diamond (see also the G1000 petition) causes some doubt to really consider the DA62 as my next plane. I fully understand you - I have some purchasing plans for following years and somehow Diamond doesn’t look so appealing because of this. First, if this is just a MSB, it's not "mandatory" and can legally be ignored by the aircraft owner. Any aircraft manufacturer can issue a MSB anytime it wants to without any checks, balances, or regulatory oversight. So it's really just a recommendation by the manufacturer. Second, let's suppose this MSB were to somehow become an Airworthiness Directive (AD), or injector replacement is added to the Chapter 4 "Airworthiness Limitations" section of the AMM -- either of which must be reviewed and approved by a regulatory authority like the FAA after a public comment period. If that were to happen (or if the owner simply wants to conform to the MSB), the excerpt taken from Austro's maintenance manual (posted earlier in this thread) lists the Mercedes Benz part number for the injectors in the Austro manual's text. Therefore you can purchase these Mercedes Benz injectors directly from an automotive supplier instead of Diamond or Austro for considerably less money. Regardless of where these "genuine Mercedes-Benz" injectors are sourced, they will have been individually flow tested -- with a code stamped on each injector by Mercedes. That code for each injector must be entered into the Austro Engine Wizard software (running on a laptop) to assure proper engine operation. A photo posted earlier in this thread also from the Austro maintenance manual shows where the codes are located on the top of each injector. One of the major benefits of Austro engines is that they use Mercedes Benz automotive technology, and that includes the fuel injectors. Similarly it's always been possible to use genuine Mercedes oil filters not purchased from Diamond. As a current DA62 owner (and previously 4 year owner of a DA42-VI with Austro engines) I'm not particularly concerned about this MSB.